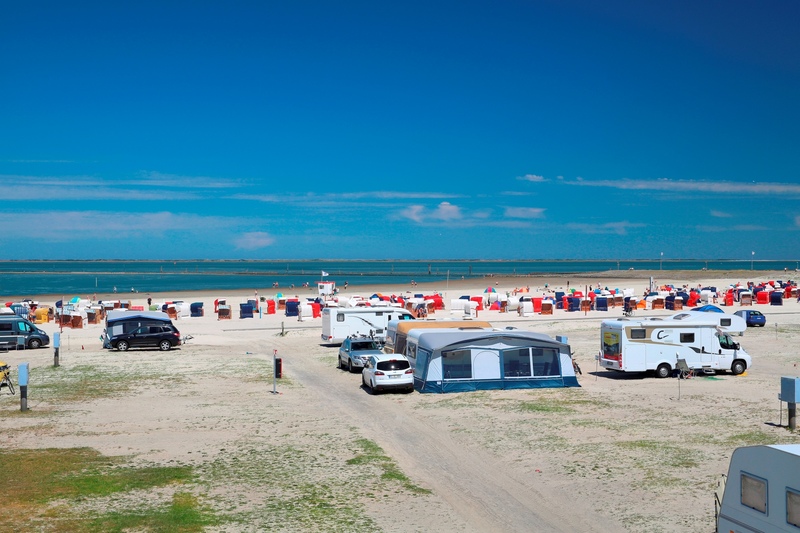 Camping in front of the dike and directly on the UNESCO World Heritage Wadden Sea: At our modern and award-winning campsite experience Nordseecamping directly on the North Sea coast. Shelter on the beach, modern sanitary buildings with children’s bathrooms and rental bathrooms and a comprehensive infrastructure with short distances and complete service. Not only the fine sandy North Sea beach borders directly on the campsite, our seawater outdoor pool with giant slide offers all water rats even at low tide plenty of space for splashing and swimming. Also located directly on grounds is the large adventure playground with cable car and climbing fortress, as well as our indoor playground “Bennis adventure land” – here little adventurers find exactly what they are looking for. During the season, a varied children’s and youth animation program provides plenty of fun and action. A special experience is the comfortable overnight stay in one of our sleeping beach chairs right on the beach.